Smartphone sales expected to boost Samsung's profits | What Hi-Fi? 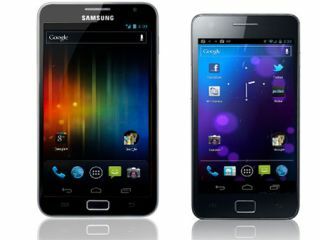 Samsung says it expects a big leap in profits for the final quarter of 2011 on the back of record smartphone sales. The South Korean firm says it expects operating profits for the period to be 5.2tn won ($4.5bn; £2.9bn), 73% higher than a year a earlier. Samsung overtook Apple as the world's biggest-selling smartphone maker in the second half of last year. The company is due to publish its official results for the fourth quarter of 2011 later this month.